WorleyParsons commissioned Mungo to create a responsive, touchscreen enabled microsite to deliver specific project information to customers at trade shows and other events. The microsite is a CMS based site that the client can easily manage and update internally. Dynamic features include banner transitions, text and overlay transitions and request forms. 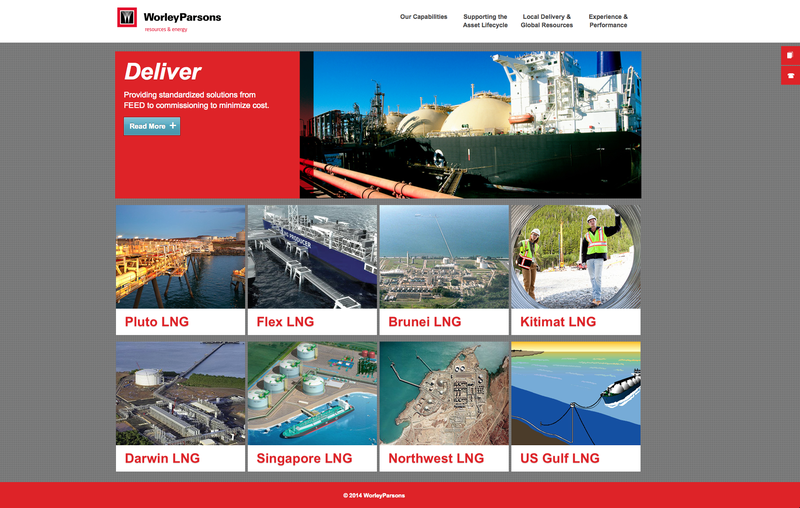 Mungo Creative designed and programmed a responsive, content managed microsite for WorleyParsons, for use at trade shows and other events.